Home Monthly “AW GOLDANGIT! Cried Superman. 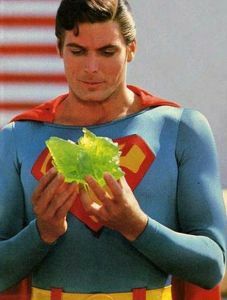 The Man of Steel stared at the jagged green crystal in hands. The courageous, personal (and private) commitment you are making now. A true hero hero carries on. Your timing is impeccable. Today has been one stinking let down after another and this is exactly what I need to remind myself of. Didn’t realize it was Kryptonite at first, thought it was CRYptonite. Now I get it, and I will toss that BS far far away from me. It doesn’t really hurt now, it just used to.